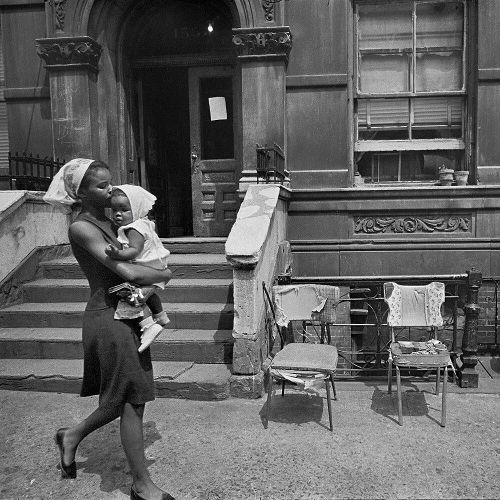 "A mother walking with her child in Harlem. On August 8, 1966, @nytimes ran a story that said many #Harlem residents wished more white people would visit the neighborhood to see it for themselves. The article detailed the Harlem of 1966 in an almost anthropological way. Don Hogan Charles — who was then 27 years old and the first black photographer hired by @nytimes — was assigned to spend a weekend photographing the neighborhood, where he lived. Only 4 of Don's images made it into the paper. In the hundreds of other photographs that he shot, which we found the negatives to in our #archives, a fuller portrait of the neighborhood and his neighbors comes into view. This #nytweekender, we'll be sharing more photos from the Harlem of Don Hogan Charles. Visit the link in our profile to read the original 1966 article, and see more photos from our #UnpublishedBlackHistory series." By nytimes on Instagram.